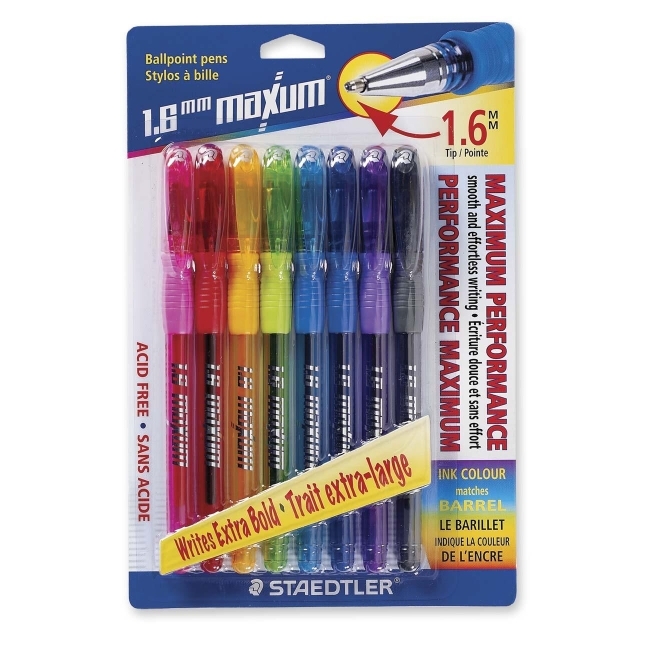 Maxum Ballpoint Pen offers a 1.6mm tip that glides smoothly and effortlessly on paper to produce extra thick, bold lines. Comfortable, rubberized barrel has a visible ink supply. Smooth ink is acid-free, permanent, waterproof, smearproof, and long-lasting.